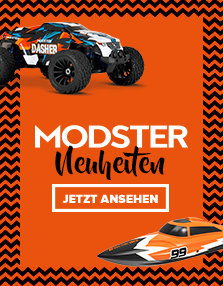 High engine performance, tires with enormous grip and extremely good handling characterize all RC Monstertrucks in the Modellsport Schweighofer online range. Buy your new remote-controlled monster truck, either to build it on your own, as kit or self-assembly kit or in a RTR version, that is just waiting to be unpacked and released. No matter what type of model you are using, there is one thing assured, with your remote-controlled monstertruck: No terrain is too steep or too stony for the high-performance car models in our range. Monster trucks from Traxxas, Tamiya, Losi and MODSTER. 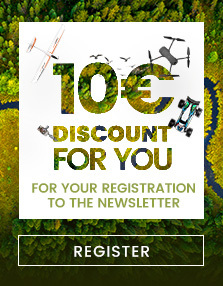 Our rc cars for every terrain come from the best known brands in the RC car area - choose from the best of the best your remote-controlled model car and you will notice that there is no comparable performance and stability.